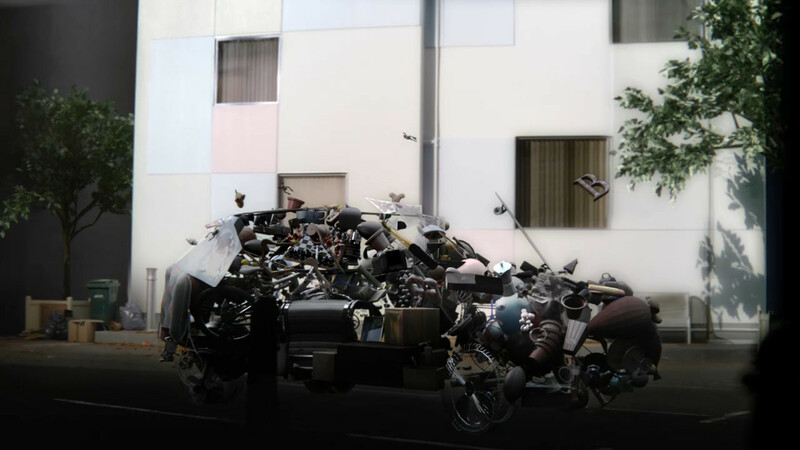 The first in a series of three films, this latest spot from Hyundai features hundreds of household objects flying through the air which then come together to form the new IX35 model. The spot aims to show that Hyundai's cars are inspired by drivers and the personal items that are important to them. The ad was mainly shot in live action using high speed phantom camera plates which were then layered up and composited in flame, apart from the end shot which is a combination of CGI and live action motion control composited in Nuke. Lead 3D artist Francois Roisin comments, "We used a classic motion control rig to shoot the car end shot. With this setup we shot various plates of the car, set and a selection of objects as reference for the CGI. We modelled over 200 objects in CGI to form the car shape at the end."